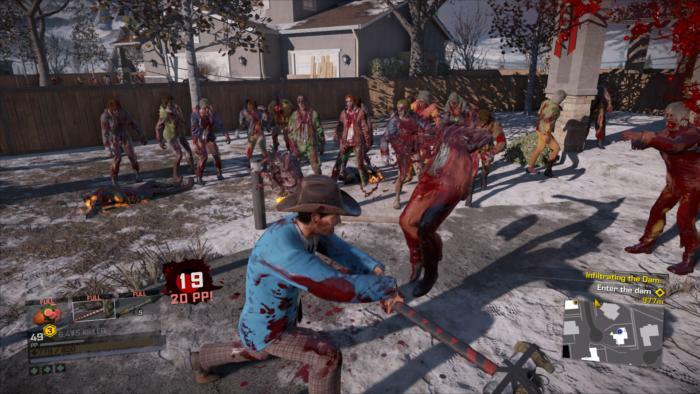 This fun zombie sandbox that may not appeal to Dead Rising diehards. There’s an old game review cliché. Maybe you’ve heard it: “Fans of the series will love [INSERT GAME].” It’s overused shorthand for saying there are issues with a game, but the diehard fans, the true believers, will probably overlook those problems and enjoy themselves regardless. Dead Rising 4 is the exact opposite. Fans of Dead Rising are most likely going to loathe this game, and what Capcom’s done with the series. Everyone else? Well, let’s talk. We don’t often hear about video games “selling out” like musicians—and I mean that in the “Giving up their principles for a paycheck” way, not physically selling out of copies. For the most part, the games industry doesn’t really work that way. Big-budget games are conceived of as big-budget games from the start, while most indie developers are content to stay independent (or at least mostly independent). But if there’s any series in the past ten years deserving of the “Selling Out” monicker, I think it might be Dead Rising. The release of the original Dead Rising on Steam earlier this year just highlights this phenomenon. Go play it, if you want. It’s weird. You’ve got a large open world, sure—but no chance to explore it. The game very deliberately hustles you through, attaching time limits to both missions and the game itself. Failing to meet those time limits invites consequences, be it a character dying or losing the entire game. Boss battles are a huge pain, often deliberately unfair to the player. And if you’re a first timer? Chances are you’re going to get six or seven hours in and then need to restart from scratch, or else you’ll never win. 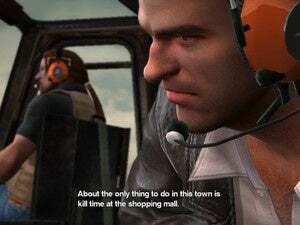 Then there was the bizarre tonal line the original Dead Rising straddled—goofy weapons, protagonist Frank West’s callous disregard for zombie life, over-the-top boss battles, but coupled with a fairly serious story and some well-intentioned (albeit generic) commentary about capitalism. It was a game of rough edges, and now all those rough edges are gone. 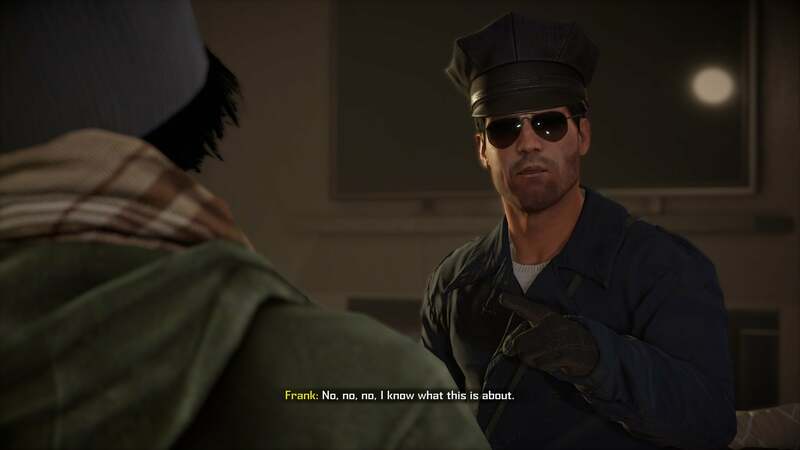 Dead Rising 4 retains the core of the series—it even brings back Frank West as main character—but all the more contentious bits have been sandblasted away in pursuit of a broader audience. What’s left is an ultra-mindless game where you button-mash your way through thousands of zombies. And I’m kind of okay with that. My personal bias: I was never a big fan of Dead Rising’s time limits, nor its boss battles. I found it interesting as an outside observer, but never had the patience to start and restart (and restart) the original until I completed it. That’s just not personally something I enjoy. What I really enjoyed was the Dead Rising demo, which was basically just a slice of the mall sans-objectives. Before I ever owned Dead Rising proper, I spent hours just loading up that demo and mowing down zombies. 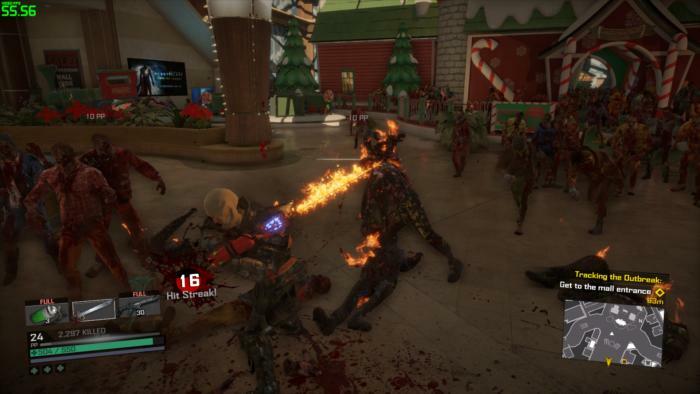 Dead Rising 4 indulges that impulse. It is power fantasy from start to finish, with 50-year-old Frank West somehow more agile than ever, snatching up swords and axes and sledgehammers and traffic cones and lawn gnomes and either using them to bash zombies into a second grave or (more likely) duct taping them together to make a flaming sword or a hammer that spews acid. Oh, and it’s Christmas, so you can also scour the town of Willamette, CO (the setting of the original) for guns that shoot Christmas ornaments or a singing Santa Claus or whatever. It doesn’t really matter what you use. You just chew through zombies. Thousands of undead shamble through Willamette’s streets and Frank dispatches them ten at a time, pausing only to chug orange juice when things get dire. There’s a story to hustle you through Willamette’s new mall and the surrounding areas, but it’s not great. Basically, the usual “Big Government Conspiracy” zombie pap, peppered with groups of crazy bystanders and Frank occasionally cracking an off-color joke to liven things up. It’s also short. You could probably rush through it in less than ten hours if you tried. The story isn’t really the point here though, nor is the difficulty. Dead Rising 4 is just an enormous sandbox, like that old Dead Rising demo fleshed out to fifteen hours—or maybe like Just Cause: Now With Zombies. 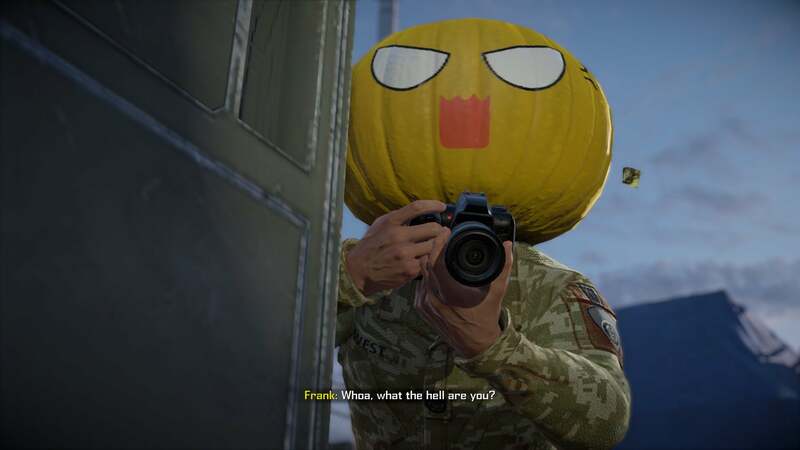 Frank’s idiotic antics are infinitely more interesting than Dead Rising 3’s ultra-dour lead Nick Mechanicman, and it makes for mindless fun just running from store to store, picking up dumb items and seeing what you can do with them while Frank yells some silly one-liner. There are some issues. First and foremost: the number of those weapons. It’s a shame that Capcom has pivoted Dead Rising into this sandbox-style game but most of the weapons and vehicles are rehashes and the number of weapons feels pretty thin overall. It even feels sparse compared to Dead Rising 3, and it feels like the plan is “Sell players lots of weapons later.” Gross. Not to spoil too much, but the final boss battle is a tedious bore. And there are scattered rumors of performance woes. I didn’t run into many myself—two crashes in sixteen hours, which isn’t great by any means but hardly unplayable. However it seems like people with lower-end processors are having a worse time of things, and the game could certainly use a patch or two. I encountered some disappearing-weapon bugs and also a repeating issue where Frank bends down to pick something up, gets stuck in the animation for five seconds completely helpless, and then doesn’t even bother picking up the item in question. Plus it’s only being sold on the Windows Store at the moment, but it’s not an Xbox Play Anywhere game—meaning you can’t buy it once and expect to play on your PC and Xbox. So uh...yeah, that’s ridiculous. Apparently it’s coming to Steam in March, which is possibly the least-relevant time of the year to play a Christmas game, but oh well. Maybe by then the performance problems will be resolved. In any case, Dead Rising 4 is no classic, nor even a great Dead Rising game. The series sold out. But if you can get yourself past that hurdle, you might find (like me) that you’re pleasantly surprised, at least for a weekend. 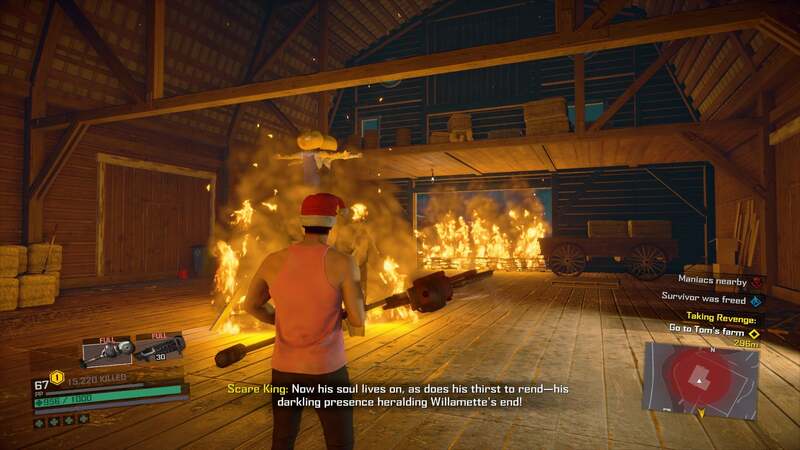 Sure, almost everything that made Dead Rising unique is gone, but if all you want is bubblegum pop and more time to experiment with the game’s over-the-top weapons? Frank West (or faux-Frank West if you can’t get past the voice actor change) is ready and waiting. And did I mention he’s in remarkable shape, too? I need to get on that guy’s workout program. 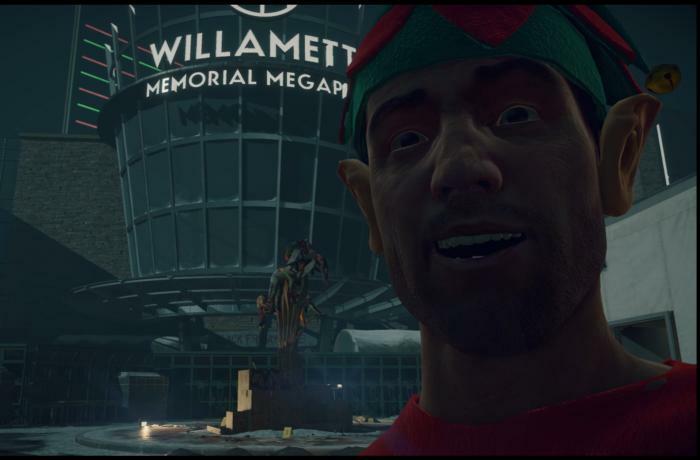 Fans of Dead Rising will lament everything this latest Christmas-themed sequel has lost, but it's still a pleasant-enough time for those who want a mindless zombie-killing sandbox.